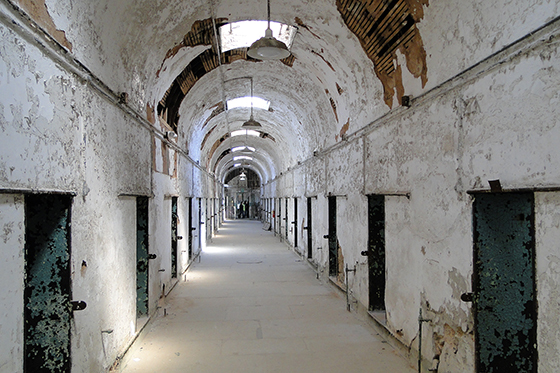 Through interviews with historians and political science experts, Confinement tells the story of the Eastern State Penitentiary in Philadelphia, the modern prison system, and how the two relate. Confinement was produced by Temple students Michael Vizzoni, John Kaeser, Lorian Thompon, and Regan Falk for a Media Studies & Production class taught by Professor Kristine Weatherston. Watch it on TUTV Friday, July 13 at 12:30 and 8:30 p.m. on Comcast 50/Verizon 45 or online. This entry was posted in Blog. Bookmark the permalink. Trackbacks are closed, but you can post a comment.